We may be used to looking at lists of powerful women made up of international celebrities, influential politicians and CEOs of some of the most successful companies in the world, but when you really put a microscope down to the local level, there are women making change in their industries right in our very own backyards. For four years, Women of Influence Inc. has announced their 25 most influential women in the Canadian market in areas of health, business, non-governmental organizations, professional services and the public sector. Each year, candidates are ranked based on how many degrees they hold, their current board directorships, the number of employees they manage, their social media following and other criteria. “This year’s women may have varied backgrounds, professions, personalities and skills, but they all share in common the passion, ambition and drive to make meaningful contributions to the Canadian economy, their communities, their workplaces, and to the next generation," said Carolyn Lawrence, president and CEO of Women of Influence in a statement. 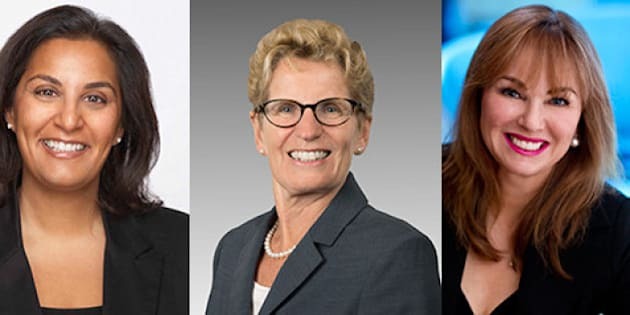 The list this year includes Ontario's first female premier Kathleen Wynne, as well as Mary Ann Turcke, the executive vice president of field operations for Bell Canada Enterprises Inc.. In 2013's Global Gender Gap Report released by the World Economic Forum, Canada moved up one spot to rank 20th (out of 136) for gender equality worldwide. According to the report, the country improved in areas of labour force participation and estimated earned income between genders. There was, however, a decrease in wages equity. But an influential list like this one is meant to not only challenge some of these statistics around female leadership in the country -- another report by Deloitte pointed out that despite the progress women have made, they are still absent from decision making and senior leadership roles across the country -- but to also inspire other women to achieve their goals.